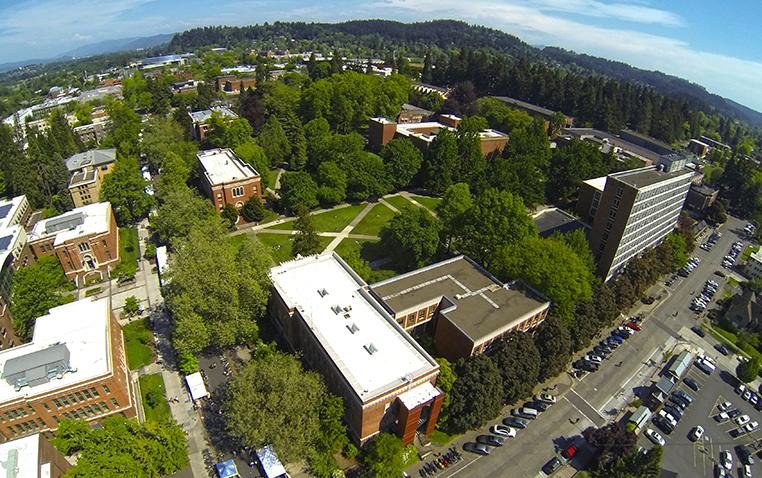 The facility, which is highlighted in the university’s 10-year capital plan, will be home to faculty members in the College of Arts and Sciences and College of Design and will also provide significant new classroom capacity, if ultimately approved by the Board of Trustees of the University of Oregon. The proposed $45 million project is in the predesign phase, with selection of an architect expected in May and a site identified next fall. If approved, the building is tentatively scheduled to open at the beginning of summer 2021 and would be funded through university resources and philanthropy. The new building would likely house three units from the College of Arts and Sciences — the environmental studies program, the Department of Geography and the Center for Environmental Futures, which was recently formed by the leadership of the environmental humanities program. It would also become the new home to the School of Planning and Public Policy and Management, which includes the Sustainable Cities Initiative, from the College of Design. Chuck Triplett, assistant vice president for initiatives and collaborations, will serve as the project chair.